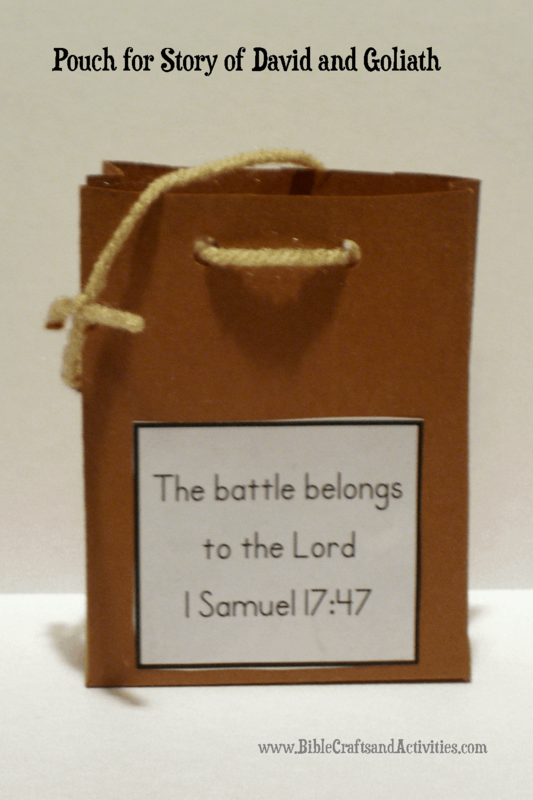 As we continue our series of lessons on the Life of David, we created these crafts for the story of David and Goliath. 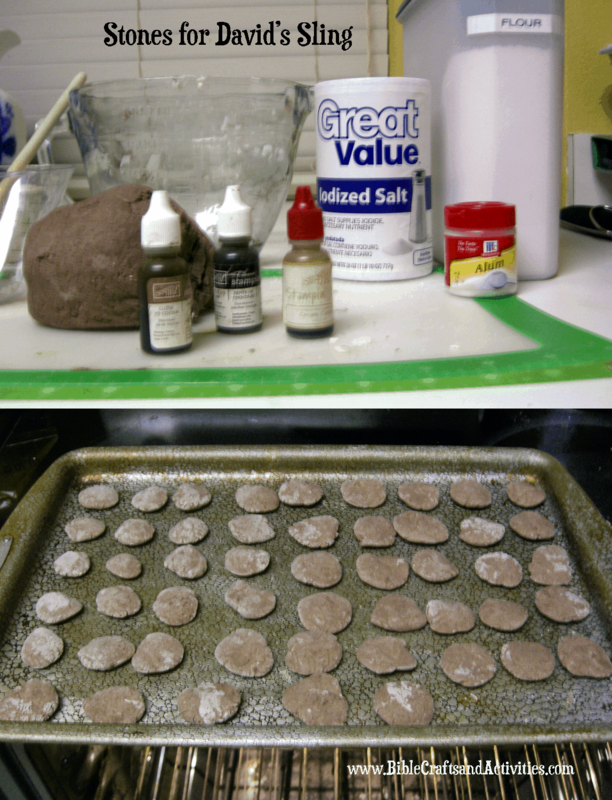 I used this baker’s clay recipe to create a batch of “stones” for each child to add to the pouch they made. You can download the template for the pouch and the verse. Brown ink pad refills were used to color the “stones”. We made a simple pouch from brown construction paper adding yarn for the handle.